Renovation Ideas for Small Yards | Associated Construction Products, Inc. Your outdoor space may be small, but it’s full of potential. With some smart design and an open mind, you’ll be amazed at some of the ways you can maximize your space. 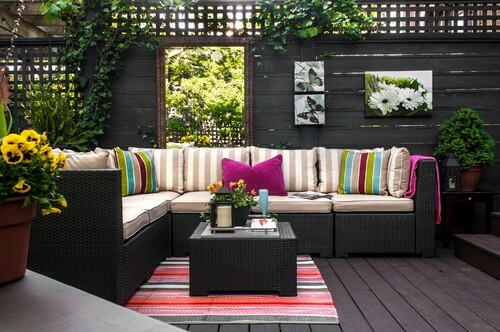 We’ve gathered some of our favorite renovation ideas for small yards to show you just how much your backyard can be transformed. Use color, height and smart design to make the most of your small yard. 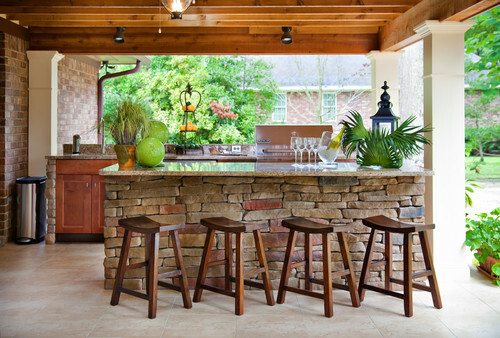 Want a beautiful outdoor kitchen in your tiny backyard? You can. Want to create the perfect hideaway to unwind when your space is not much bigger than a sun lounger? You can. Want to create a magnificent oasis with vast water features and a huge pool? That’s a little harder. But we can work some serious wonders with split-level stonework, clever lighting and cross-functional design. We love this multi-functional space. They’ve managed to fit in an outdoor kitchen, a bar, and a seating area. It means cooking and socializing happen in tandem — bring the heart of the house to your yard! Use mirrors as portals into other worlds. Or, as a simple light-maximizing way to provide contrast to stonework. You can experiment with the location of mirrors — up high above a wall bar or darker grill area, or body level surrounded by plant and stone features. 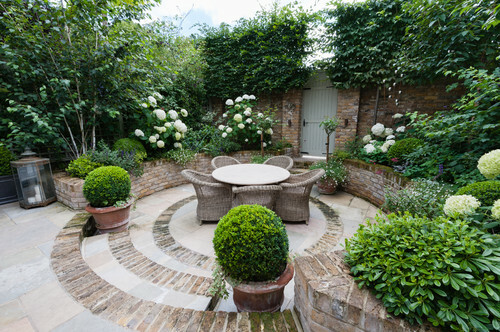 Brickwork with gentle split levels can make your outdoor space more captivating. It can also highlight the beauty of a small space. Embrace the cozy qualities of your small space with steps that lead you down into an intimate seating area. 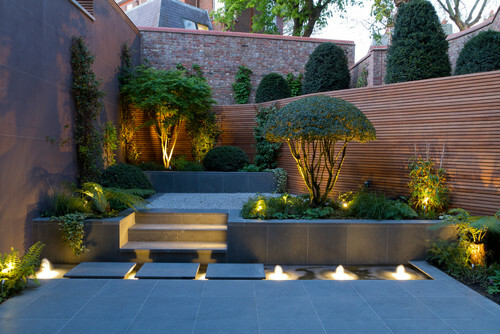 Carefully placed ground lighting energizes and expands small spaces, especially when incorporated with split-level stonework and landscaping. A stone firepit to serve as a beautiful focal point by day or night. You can add stone seating surrounded by simple landscaping as a way to use variable heights to make more of your small space. 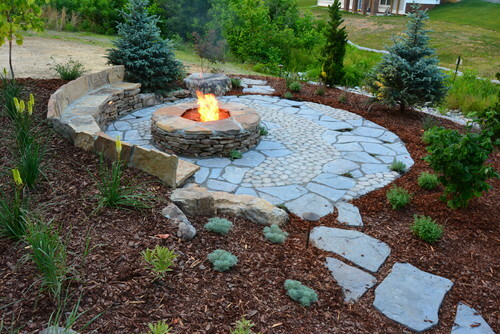 A stone fire pit is a welcoming feature for a yard of any size. A pool in a small backyard is for more than swimming. A pool brings obvious bathing benefits, but it also serves as a beautiful water feature, especially with stonework that complements the aesthetic of your home. Enjoy poolside entertaining and relaxing too, while not having to mow a lawn! Interested in bringing some style to your small yard? We have highlighted just some of the ways you can make the most of your small outdoor space, and the ways you can embrace the cozy quality your small outdoor yard brings. All you have to do is decide on what you want your outdoor space to do for you. Do you want to entertain, cook outside often or have a cozy space just for you? The options are indeed endless, but we are here to guide you with the best option for your space, and for any budget.